This article was originally posted on UBC News. Belley and UBC mineralogist [and alumni UBC Study Leader for their travel program with Worldwide Quest] Lee Groat have published the first scientific study of cobalt-blue spinel in Canada, a mineral that is largely unknown to the general public but produces rare gems that are coveted by collectors and connoisseurs worldwide. Spinel comes in a variety of colours ranging from red and pink to violet and blue and the fine gemstones are prized for their intense natural colour and high transparency, both measures of gem quality. 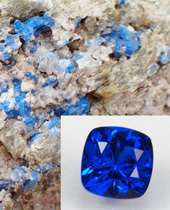 “There’s considerable interest in cobalt-blue spinel for gems and jewelry,” said Belley. Even small stones with good transparency and fine cobalt-blue colour can sell for about ten times the price of a comparable sapphire. But supply is an issue and even production from the most significant source, Vietnam, is limited and sporadic. 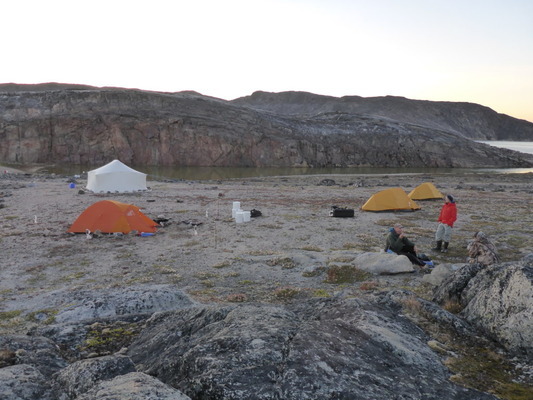 The researchers analyzed fourteen occurrences of spinel on Baffin Island, including two occurrences of cobalt-blue spinel, to better understand how it forms. “It’s a simple recipe but you need to combine the right proportions of chemical ingredients,” said Belley. Spinel in dolomitic marble. 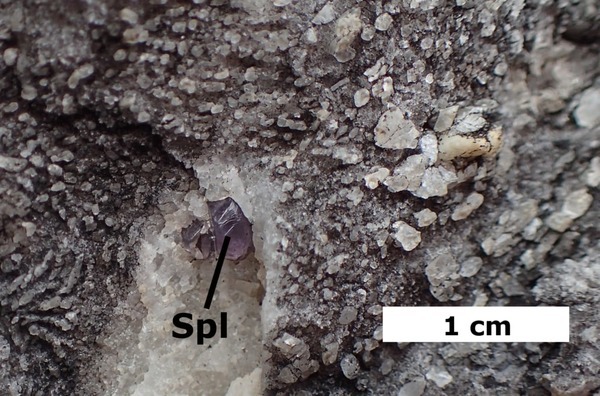 Soper River spinel occurrence, Kimmirut area. Philippe Belley and a guide on the Hudson Strait. On Baffin Island, spinel formed 1.8 billion years ago from sedimentary deposits of dolomitic marls and dolomite-bearing limestones. These sedimentary rocks metamorphosed at temperatures of about 800 C under immense pressure. Belley and Groat found that the magic ingredient that produces the distinct blue colour – cobalt – was only present in high-enough concentrations to produce gem quality stones in small, localized areas. According to Belley, Baffin Island spinel contains up to 500 parts-per-million of cobalt, which gives it a vivid blue colour that is comparable to the best sources worldwide. 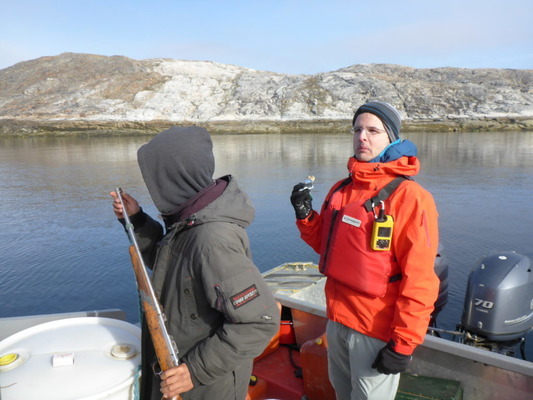 While accessing the area for scientific study was extremely challenging and involved long boat rides through thick fog in the Hudson Strait, stormy conditions, scouting for polar bears and a lengthy permit process to protect the ecologically sensitive environment, the geology of Baffin Island has been a veritable gem field of scientific discovery for the researchers. The team has also analyzed Beluga sapphires which were used in the Queen’s sapphire jubilee brooch and an occurrence of lapis lazuli.